Studies of Daphnia distribution and function could help people manage and protect water quality. We investigated how spatial distribution and filtering efficiency of Daphnia in the transition and lacustrine zones of the Nanwan Reservoir (China). Samplings were conducted seasonally for 2 years from six sites in the reservoir. Daphnia abundance and biomass were significantly higher in the lacustrine zone than in the transition zone. 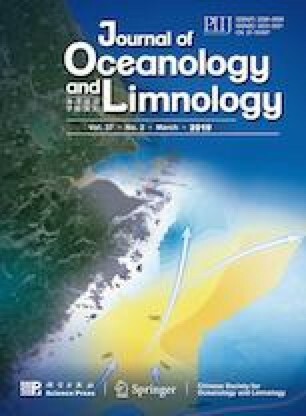 Similar composition and biomass of edible phytoplankton were found in the two zones, suggesting that food quantity could not explain high Daphnia distribution in the lacustrine zone. The variations of water velocity and food quality could help explaining Daphnia patchy distribution in the reservoir. On the one hand, rapid water velocity can cause the Daphnia decrement in the transition zone. On the other hand, the ratio of particulate organic carbon (POC) to chlorophyll-a (chl-a ) concentration was significantly higher in the transition zone, indicating more allochthonous material constituted the food source for Daphnia. The lower quality food likely suppressed Daphnia development in the transition zone. A linear regression between Daphnia abundance and Secchi depth (SD) may suggest a cause-effect relationship where increased filtering efficiency was responsible for increased water clarity to some extent.